The week of the Super Bowl, Roger Goodell said he is “concerned” about the catch rule and that “The Competition Committee is going to bring this up in February and March, and I hope we’ll be able to address this in a way that will bring more clarity and, frankly, more excitement to this.” It is only fitting then, that one of the biggest debates about the recent Super Bowl is Zach Ertz’ touchdown. Cris Collinsworth and Al Michaels, both who struggled in the booth all Sunday night, were flat out embarrassing on that play. Their complete ignorance of the rule and how its suppose to apply gave legitimacy to something that didn’t deserve it. And conflated an otherwise cut and dry call. The most common complaint with the call is that it was the same situation as the Jesse James TD reversal from the regular season in the Steelers-Patriots Game. 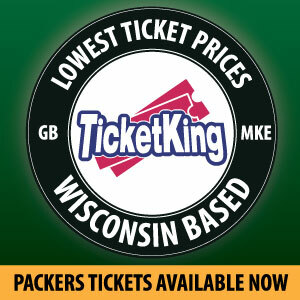 Or it was the same as the play most near and dear to Packers fans. 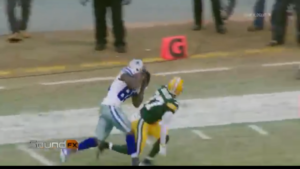 Of course, that is the Dez Bryant play in the divisional round game from the 2014 season. However, the James and Bryant plays are far different than the Ertz play. First off let’s take a look at the rule as it is written. 3. maintains control of the ball after (a) and (b) have been fulfilled, until he has the ball long enough to clearly become a runner. A player has the ball long enough to become a runner when, after his second foot is on the ground, he is capable of avoiding or warding off impending contact of an opponent, tucking the ball away, turning upfield, or taking additional steps. The key is how to define whether or not someone is a runner which they do clearly. Is the player capable of warding off contact? Does he tuck the ball away? It’s important to note that the actual number of steps a player takes needs to be at least two, but how many he takes beyond that is irrelevant. Let’s start with Dez Bryants’ play. It was contested over Sam Shields, who was in good coverage but was seemingly beat on a perfectly thrown ball by Tony Romo. On that play, Bryant high points the ball, takes three total steps while falling to the ground and reaching for the goal line only to have the ball move as hits the ground while he extends for the goal line. But does he ever establish himself as a runner? Take a look at this still shot which is just after he gets his second foot down after controlling the ball. More recently Jesse James of the Steelers saw a TD catch overturned when he caught a ball while going to the ground and extending for the goal line much like Bryant did. In this case, he catches the ball while falling to the ground. Here is a still shot. Other examples are Calvin Johnson against the Bears in 2011 (when it all started) and Devontae Freeman in 2015 vs Washington. And for Packers fans, Ty Montgomery this year vs the Vikings after Aaron Rodgers suffered a broken collarbone. They are all similar to the Bryant and Jesse James play. And whether or not you agree with the rule, the NFL has been remarkably consistent in the application of the rule. And finally, the still shot just after Ertz puts his second foot down. Bryant and James never look like this. Even for those who think the Bryant and James plays were completions, they can and should be able to see the clear difference between those and the Ertz play. Ertz is on his feet with balance after the second foot hits and he is turning upfield while James knees are down and reaching. And Bryant doesn’t have balance when his second foot hits. Ertz obviously is a runner and would likely be able to make a juke or a legitimate attempt to avoid a defender. The still shot shows it perfectly. Still shots aren’t usually a good way to look at officiating examples as many times it doesn’t show context but in this case, it shows exactly where they were on the second foot being down and how in control of their feet they are. We have all seen the slow motion videos and for some strange reason, it caused some confusion, for some. Does the rule need to be changed? Maybe. After all, all of the examples were ruled a catch on the field and were only overturned after detailed video analysis, because to an observer they looked like a catch in real time. But what would that rule change be? Some have suggested that it should be as simple as two feet down with control. That’s a non-starter because then you would have fumbles in the field of play all the time. And it needs to be treated the same whether or not it is the end zone. Personally, I think its fine but replay on plays like these turns officiating into something it’s not meant to be. If a change were to be made, it could simply be you need control, two feet and a football move thus never having to establish yourself as a runner. It could be a reach of the ball or something to that effect. Either way, anyone who is arguing that call was similar to the other examples is either terribly biased or they are being willfully ignorant of the rules. (Collinsworth and Michaels were ignorant of the rules and I would like to think that they have re-considered after talking to others) Football Zebras, a website and great Twitter follow, is a good resource for anyone who actually wants to understand the rules. Though most people really don’t want to know the rules or understand what goes into officiating, as it easier and for some more fun just to complain, banter and debate. No matter the rule or how an official calls a game, it will never be good enough for some people. People have said officiating is bad for decades. It’s not a new thing. It’s like a person who claims that all men or women are bad in the world, after several failed relationships. At some point it’s you. 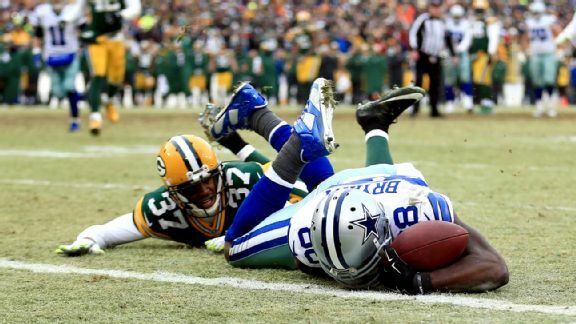 This entry was posted in Uncategorized and tagged Dez Bryant, The Catch Rule, Zach Ertz. Bookmark the permalink.